Posted byValenciaGAA	 May 17, 2012 Leave a comment on It’s Showtime! 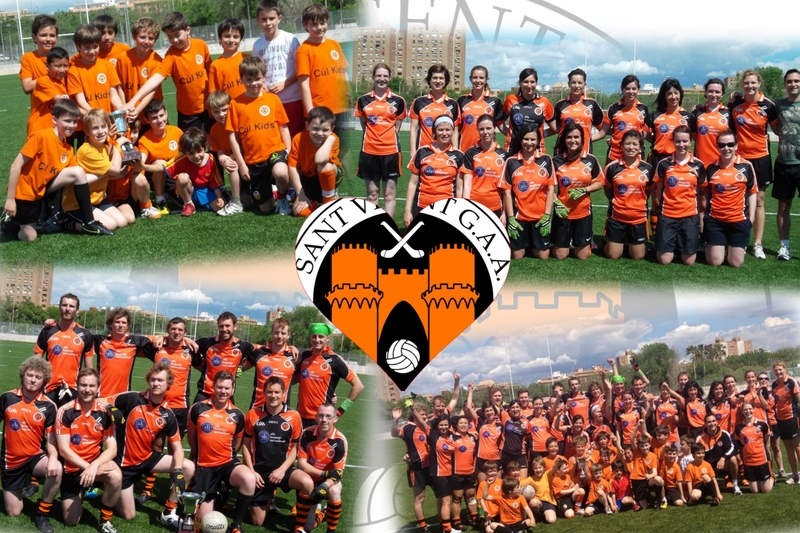 The Valencia Sant Vicent GAA Gaelic Football club enters this weekend’s competition surrounded by a lot of excitement. Since disappointing showings in Madrid last month, the men, women and children of the Black and Orange have been working hard to not only prepare themselves physically and mentally for the challenge that awaits them on the field, but have also been planning what they hope will be a highly successful tournament on many fronts. The off-field events will include a party atmosphere with music and competitions throughout the day as well as the usual dinners and dancing following the completion of play. On the field, the juniors will return to action as they host the Madrid junior program in a return game following the first ever under-age match in Tres Cantos last month. This time around, it is likely that two games will take place with the youngsters divided into two age-based categories. Whatever the outcome, both clubs are extremely proud of the progress shown by the young boys and girls and have been constantly impressed by the abilities showcased by them. Throw-in for the junior games is set for 3.45pm. More exciting developments have taken place on the women’s side of the draw as well, as 5 teams will take part in this weekend’s competition including a second side representing the Sant Vicent club. The Valencia Velociraptors will be in tough as they take on the defending Iberian champions, Madrid Harpettes, in their first ever game, but judging by the intensity shown in training, commitment and effort will not be an issue. The fact that Valencia will, for the first time, be fielding two women’s sides is testament to the fantastic recruiting work and effort put in by the ladies themselves, and the 3.10pm meeting between the two Valencian outfits is greatly anticipated. Finally, a reduced men’s tournament sees a pivotal weekend in the race for the Iberian Championship with the host Sant Vicent boys looking to get their campaign on track on home turf. They will play the league-leading Madrid Harps and the ever-committed A Coruña Fillos in what promises to be a high-speed day of play for the men. Things kick-off at 11.00am in the men’s tournament with the final at 2pm.